Straight outta Clueless. 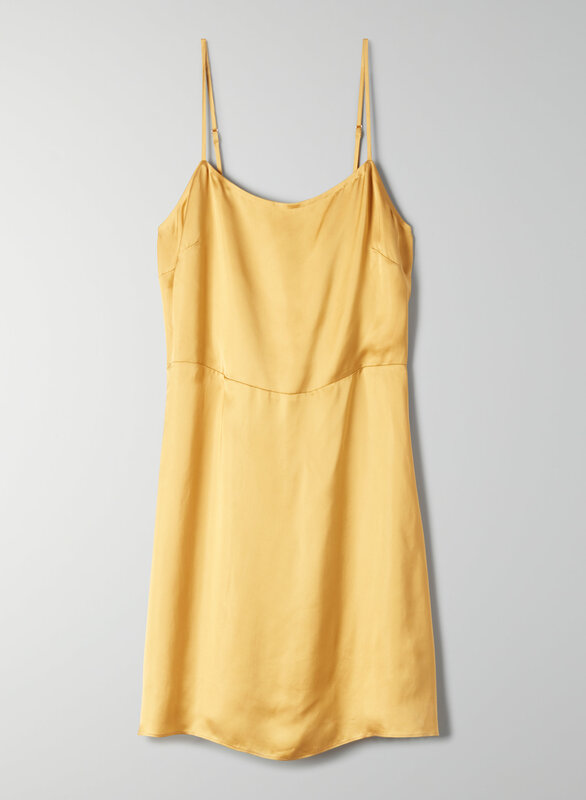 This is a sleeveless mini dress with spaghetti straps, a square neckline and waist seam. It's made with a shiny satin fabric from Japan.